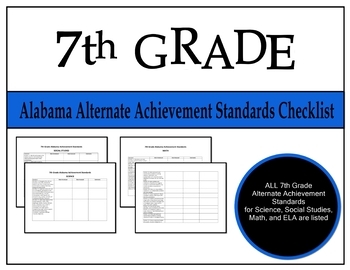 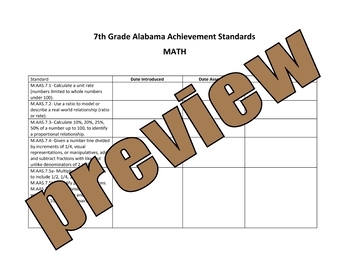 This checklist has all the NEW Alabama Alternate Achievement Standards for SEVENTH GRADE. 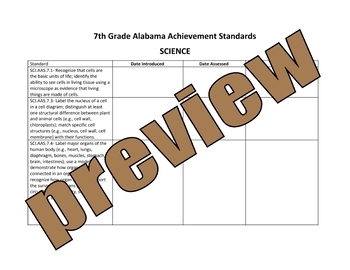 Standards for Science, Social Studies, Math, and English Language Arts are listed. There are columns for "Date Standard Introduced," "Date Assessed," and "Comments."